As a business owner, you wear the Human Resources, Janitor, Decorator, Marketing, Accounting, Customer Service, Engineering, and Operations hats, maybe all before 10 a.m. on a given business day. That’s the problem. Too much going on to give your full attention to each one. How did this happen? We’re all trying to do more with less while still watching our bottom line. We think we can take on everything on our own, but we run out of time, especially when trying to spend time with family or maybe get to the gym. Enter Opportunity Cost. 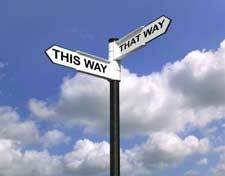 Opportunity cost is the notion of choosing one path while knowing and accepting the alternatives you are giving up. We weigh opportunity cost unconsciously daily. What will you do for lunch today? Invite a client to lunch to help build a relationship or eat a sandwich in your office to get caught up on work? What will you do with your Christmas money? Spend it on a beach vacation or save it for a down payment on a new car? Opportunity cost can also be weighed in relation to what you do with your time. You only have 24 hours in a day. I hope you sleep for at least 7 of them and let’s say you eat, shower, commute and spend some time with family with 5 of them – that leaves 12 hours in a day up for grabs. What will you choose to fill those 12 hours with? Understanding your opportunity cost means you deliberately choose to spend your time on the things that you are good at and are important to you. And you’re okay giving up what you could have been doing during that time instead. Conscious decisions with opportunity cost in mind can then help rationalize the hiring of specialized partners to supplement your efforts. And help you get back in control of your time.